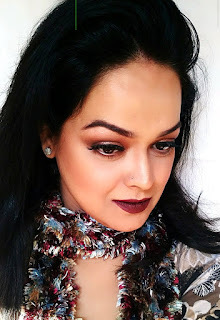 There are times and situations when shopping can be cumbersome even to us ladies. At times we want a certain product or products but the weather or our own personal issues might not allow us to satisfy our wants,in this scenario online shopping comes to our rescue. But opening multiple tabs and checking the price of products on different sites to see if someone is offering the same stuff at a lower price is another mammoth task and takes hours. This problem saw its solution in CouponRani.com. 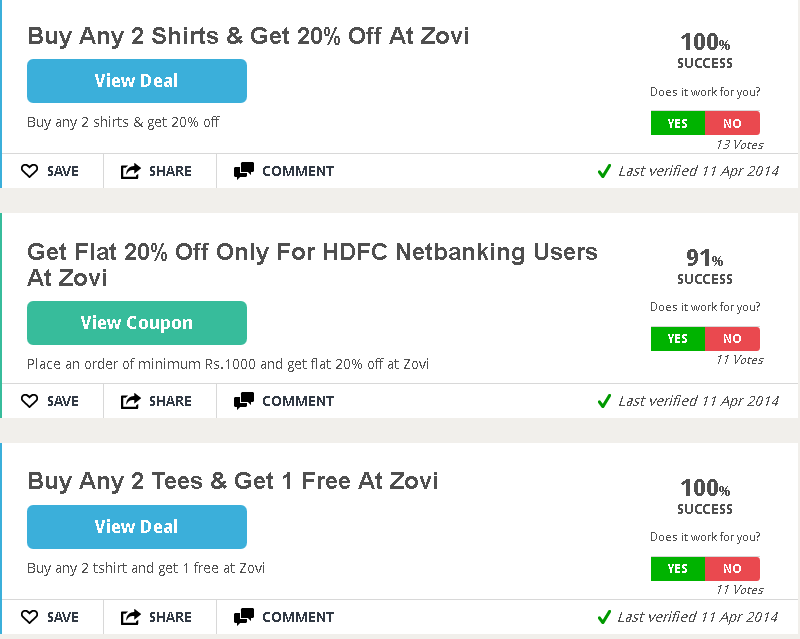 Zovi comes with offers such as Buy 1 Get 1 Free Graphics Tshirts for Men and Women, Flat 20% OFF On Denim, Flat 20% OFF On Rs.2500 worth Products, and more. 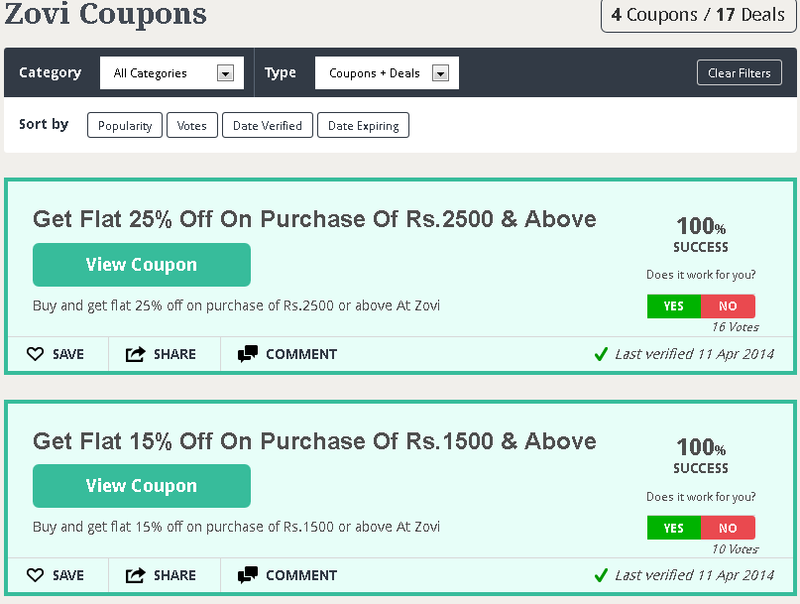 With coupon codes offered by Zovi.com enables you to shop online for the products that you wish to buy for a cheaper price. 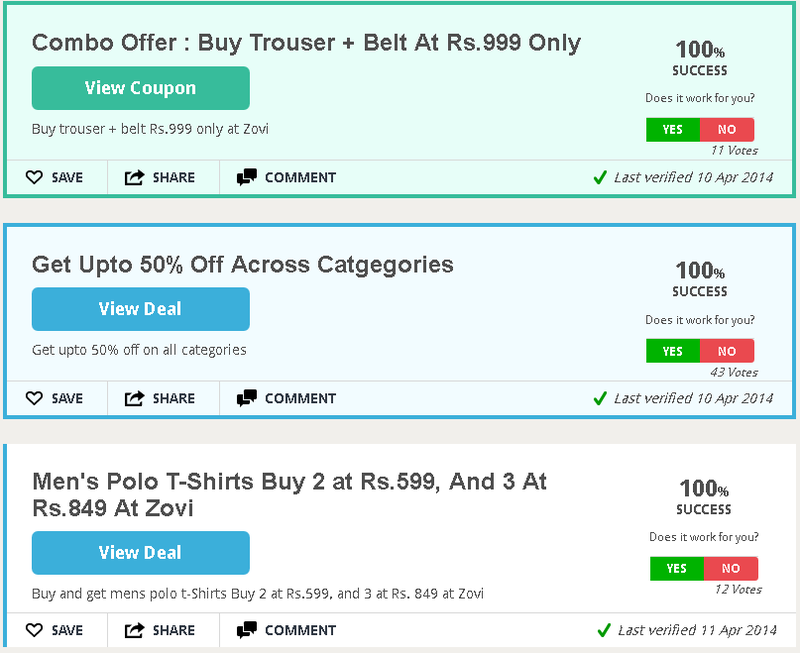 For other Zovi offers,click here. First Cry happens to be very popular among kids and parents. 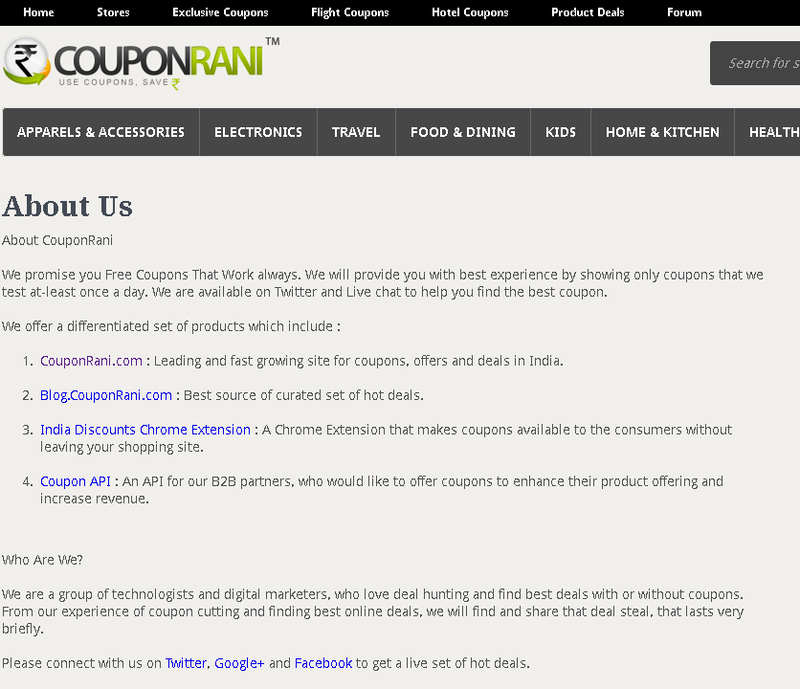 It has a humungus amount of products related to kids' needs and CouponRani caters to those by providing discount coupons. 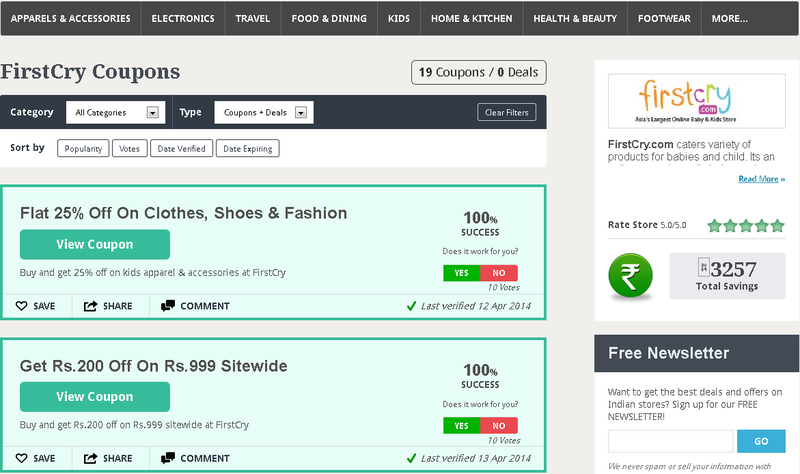 Some of the offers available from FirstCry include Flat 15% OFF On Products, Flat 35% OFF On Footwear, Flat 35% OFF On Winter Wear, Flat 35% OFF On Apparels, Upto 50% OFF On Diapers, Rs.100 OFF On Bath & Skin Care products, Flat 15% OFF On Health Care Products, Flat 25% OFF On Baby Gear, Flat 50% OFF On Toys, Flat 20% OFF on Strollers, Flat 15% OFF on Toys & Gaming, Flat 20% OFF on Feeding & Nursing, Flat 15% OFF on Maternity Wear, Flat 20% OFF on School Supplies, Books & CDs, Flat 10% Off on Diapering Essentials and much more. 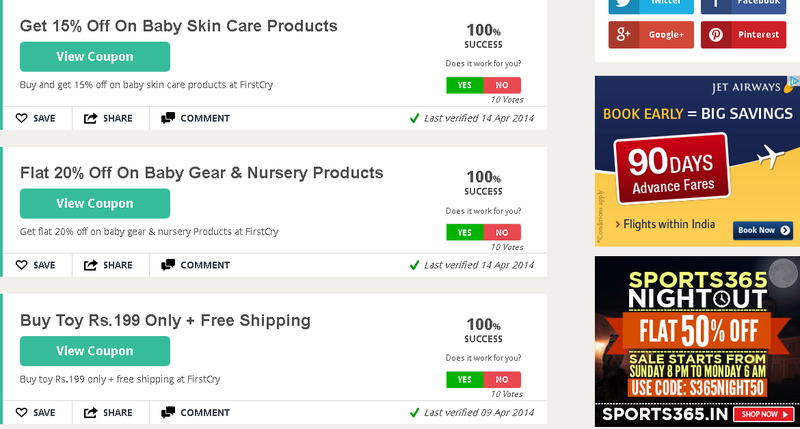 For other firstcry.com offeres click here. Redbus is a leading online portal to book bus tickets to travel within India. Redbus.com aims in making the travelling cheaper and easier for people all over India. Redbus is considered to be one of the best ways to travel in India. With Redbus can you can book bus ticket online and plan your journey in a much easier way. 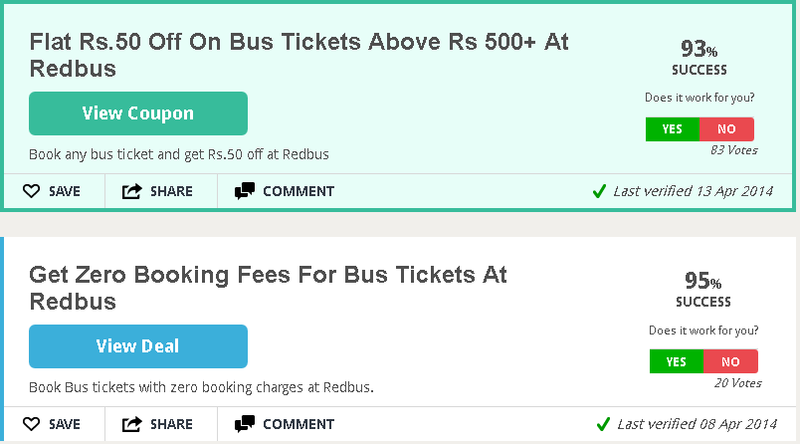 Moreover, in Redbus you will also get coupon codes or promotional codes with which you can have excellent discount on the tickets booking. 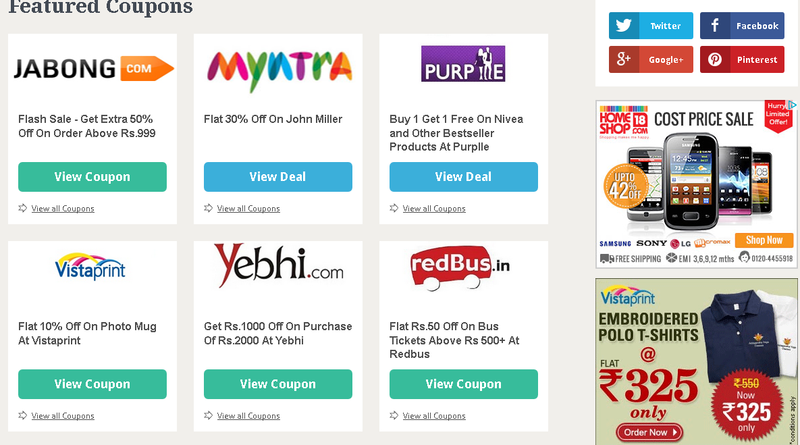 Some of the Redbus Offers include Rs.1000 OFF On Hotels and Rs.500 OFF On Online Shopping at selective online stores. 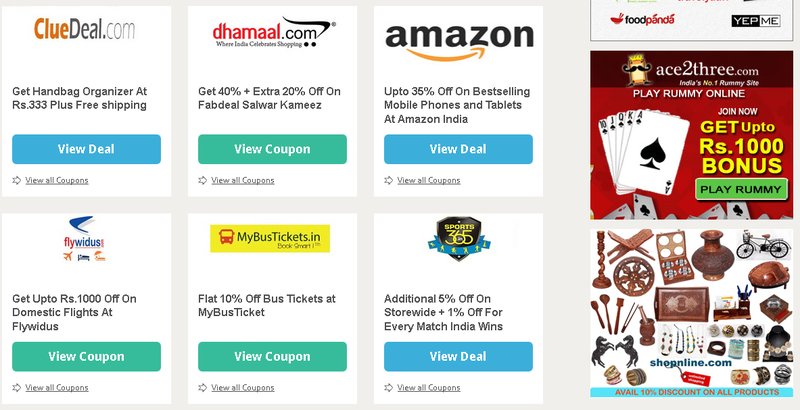 The other offers are Rs.100 OFF On Bus Booking; Rs.150 OFF On all bookings, Flat 15% OFF On Round Trip bus booking, Flat 30% OFF On Bus booking, Flat 15% OFF On any travel booking, and much more other booking offers. With its innovative travel services to its customers makes Redbus a trustworthy online travel company where you can comfortably reach your destination. 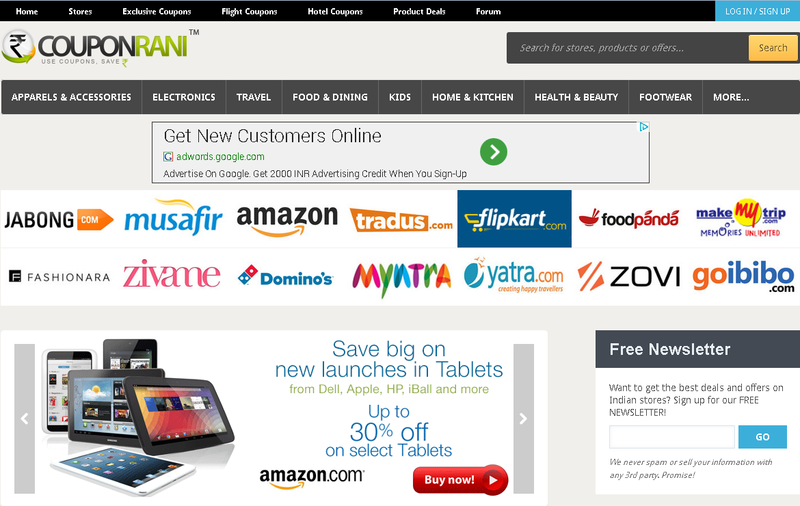 There are many such offers waiting just for grabs.So before making an online purchase never forget to delve into the deals offered by this amazing website! Oh yes Nats..its all under one roof!